Mum and I took delivery of these new christmas trees last weekend. 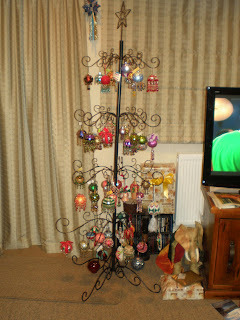 They are really neat and a great way to display all the decorations. no leaf drop either. 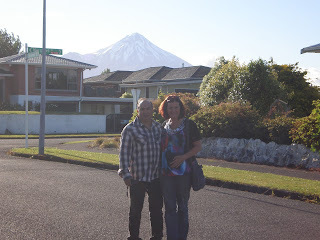 Tony and Dot outside my house with the mountain in the background on Tuesday night. What a pretty tree. Shows off the ornaments.